Do you know the “Upstairs/Downstairs” game? Since you were smart and caring enough to sign up for this monthly ‘cue’ for better living, I think you are going to love this quick idea that will add a little more energy, opportunity for calorie burning and most importantly help create that mindset for uncommon success. 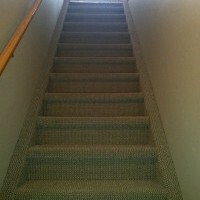 Every time (read… every time) you go upstairs or downstairs for something, do the stairs a second time. I’m going down to throw the laundry in, I get to the bottom of the stairs and I turn around and runup the stairs and back down them again. I come up from throwing in the laundry and I immediately turn around and go back down the stairs and up them again. The Upstairs/Downstairs game a quick, effective way to add a little more activity to your day. Your family will think you are a bit odd at first – but let’s face it, they probably already think you’re odd! It’s not just about the few extra calories that you are burning or about building strong leg muscles. It’s about building resilient mental muscles and reinforcing the fact that you are getting stronger, healthier, more fit and are committed to doing small things that matter in a BIG way. The Upstairs/Downstairs game, is just one more way to live Your Life, Unlimited! Click reply to let me know you are willing to play the game with me this month. And… If you are in Winnipeg, I hope to see you at MoMondays on November 18th (info at http://momondays.com/event-registration/?ee=96). PS – Don’t let bad knees, no stairs in your house etc. be an excuse not to play – modify the game to suit your needs. It’s the concept we are after (slipping a small amount of physical activity into our day) not necessarily executing the exact example. Get creative and have fun with it! This entry was posted in Blog and tagged e-news, health, life coaching, Motivation, personal growth, Stephanie Staples, Your Life Unlimited. Bookmark the permalink. Previous Previous post: Advice is for Winners!